"The family is an outmoded concept. Marriage is passé. The romanticized family life of years gone by… never really existed. Children are resilient and can adapt to any situation. There is no need for both parents in the home. We make our own values. There are no rules." The supposed wisdom of the self-appointed "expert" was met with nods of approval from the studio audience, proving merely once again that pooled ignorance does not produce wisdom! The truth is… the family is the very first institution ordained by God. The family was established before government or schools or even churches and especially… before any alternative, suggested by some self-appointed "expert". The family is precious in the eyes of God. The family is the model for gender roles. It is the source of stability in society. The family is blessing. The family is hard work. Its foundation in marriage is a reflection of the relationship between Christ and His Church. The family is God's chosen medium for the transmission of Godly lifestyle and values to each new generation. Can you imagine… a world devoid of the influence of the family. This is why the Woodburn Christian Children’s Home chooses to work with the family. Our Mission Statement says, "Our mission is to provide a Christian home for children with special needs – to minister to children and families on physical, educational, emotional and spiritual levels." This is what we do. 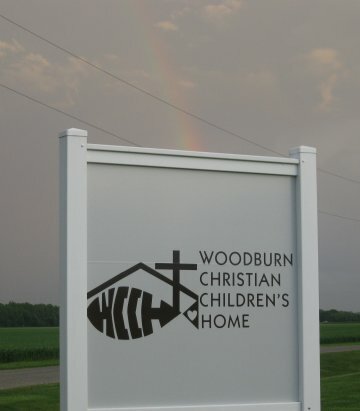 ​When you support the Woodburn Christian Children's Home…. You support the family. Each one of the children in our care, has been placed by their family … parents and guardians… urgently requesting our help. When you send a contribution or make a referral to WCCH, you are ministering through… and to… God’s family. 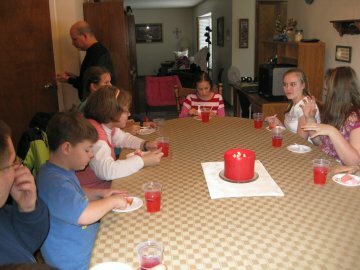 Please pray for God to bless the Family Ministry of the Woodburn Christian Children’s Home. For more information, please call our WCCH Office at 260-632-5551. You may call Lee directly at 260-495-9545 to schedule a speaking engagement.